P.S: when I wrote this post, I didn't know that John Storm Roberts had just died. Paix à sa grande âme... Check out the article on N.Y.Times. Both of these pices have a very high African content. The singing is a called-and-response pattern, by far the most common african-drived vocal technique in the new world. 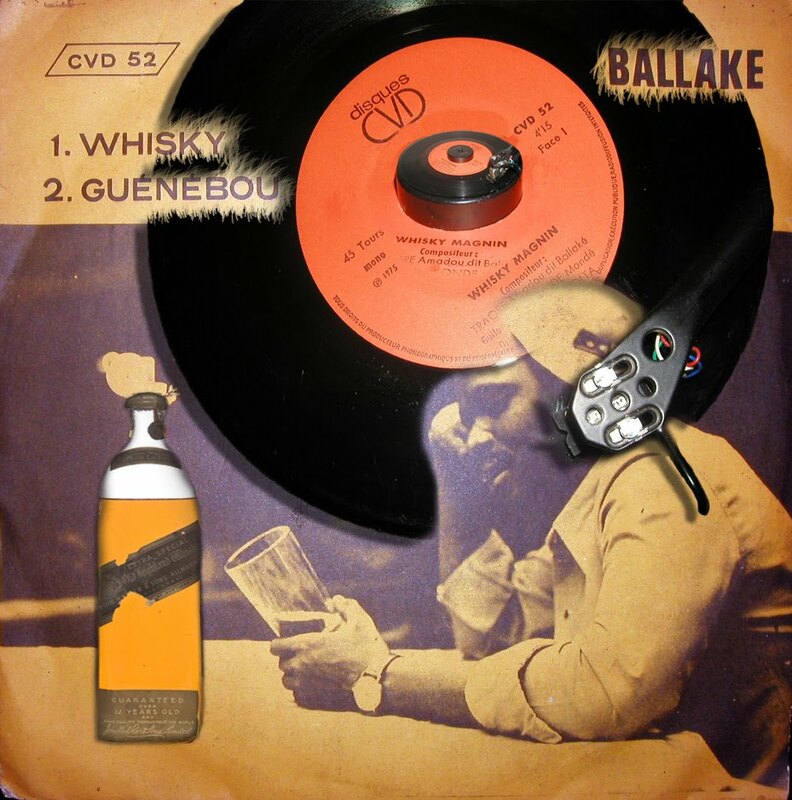 This last piece have been recorded in a tobacco-grinding factory. 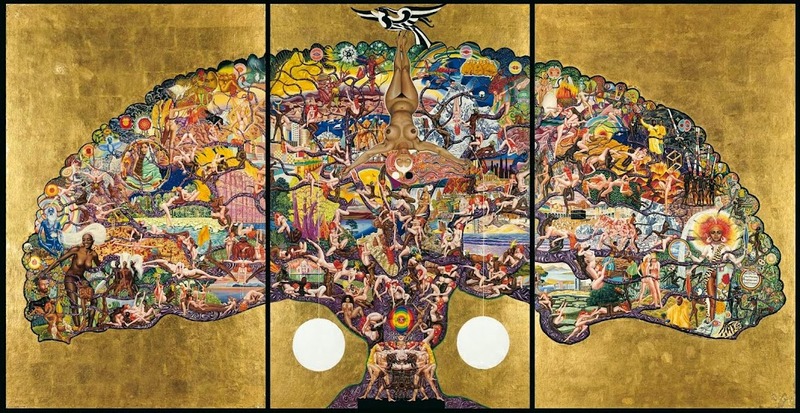 Most of the work is done by hand, and the laborers sing at their work and preserve and perfect many old forms. Haiti has a great deal of highly African folk music. 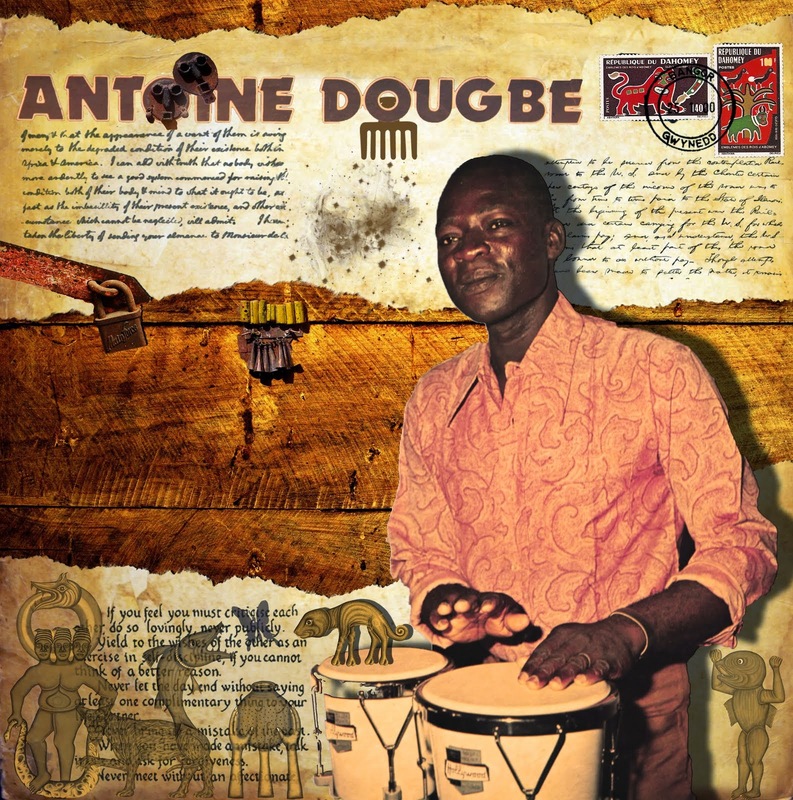 The best-known rhythm in Haitian popular music is the méringue, which has a chicken-and-egg relationship with its Dominican cousin but has developped very differently. The bolero spread throughtout the Spanish. 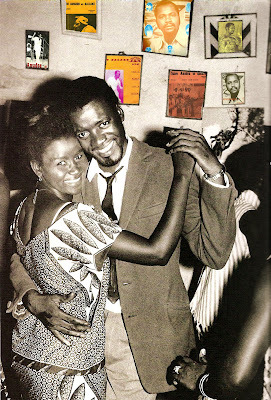 This is an example of Tambo drumming. Singing and playing both show many africanisms. 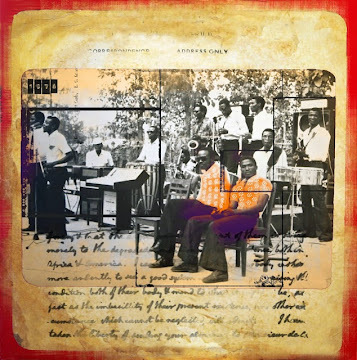 Two digging songs, in call-and-response orm, acompagned by the rhythm of the pickaxes that Jamaican countrymen still use for digging the fields. 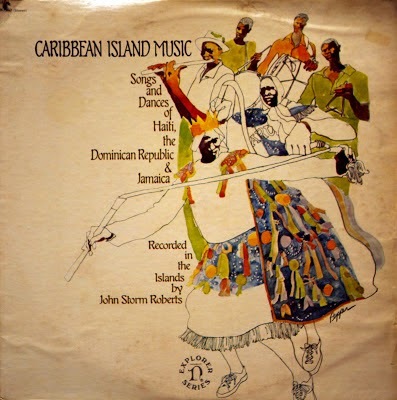 One of the best known Jamaican songs, Emmanuel road originated as a ring-play or game song (probably among quarry-men) that involves the passing of heavy stones round a circule of squatting men. 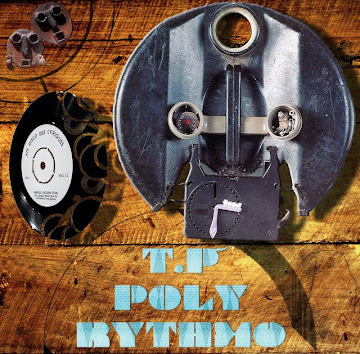 This song has been heard as a calypso and in many other versions. 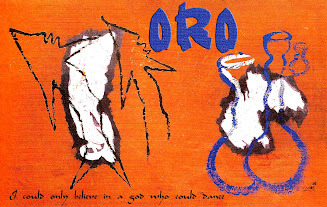 The present recording shows it in its the original forms, sung in the thudding rhythm of the stones being passed around a circle. 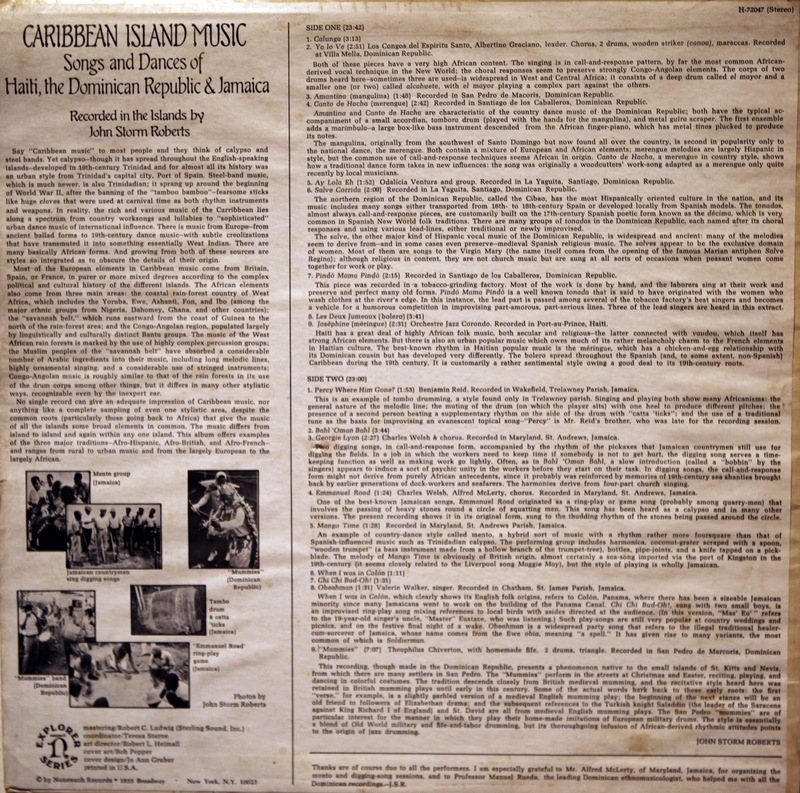 This recording presents a phenomenon native to the small islands of Saint Kitts and Nevis. The "mummies" perform in the streets at Christmas, reciting, playing and dancing in colorful costumes. 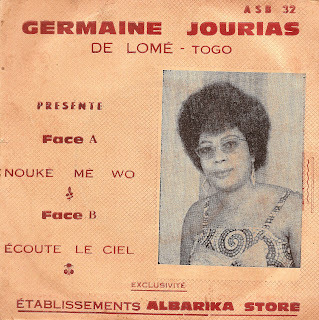 Germaine Jourias was born in Togo in 1937. She recorded this EP, the first one, with the great singer El Rego and His Commando's orquestra in 1967. This very good highlife title made her quickly famous. She died in August 2009. 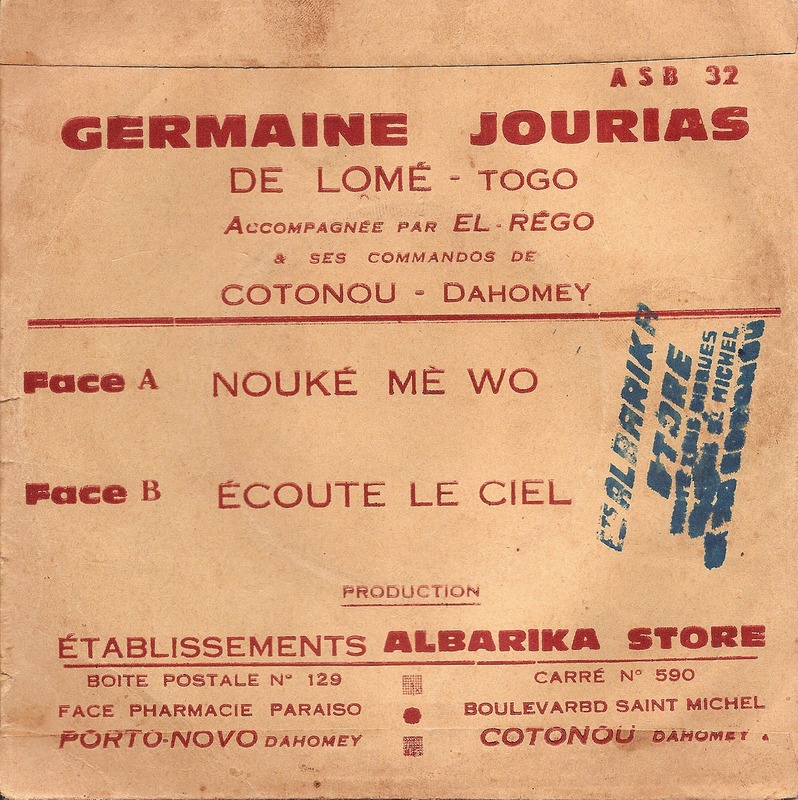 Germaine Jourias est née au Togo, de mère Peul, en 1937. Elle enregistre son premier single, accompagné d'El Rego et son orchestre Les Commandos, que je vous présente aujourd'hui. 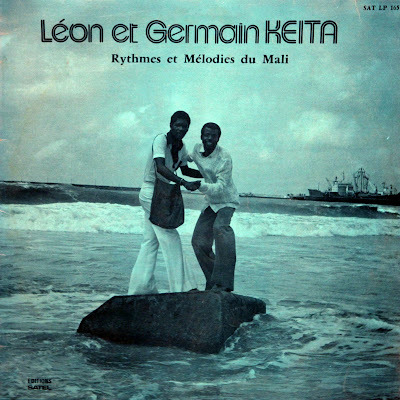 Sortie en 1967, ce morceau highlife d'inspiration ghanéenne la propulse tout de suite en haut de l'affiche. Germaine Jourias nous a quittés en Août 2009. The band took their name from the Camp Boiro prison, where may of the members had been guards. 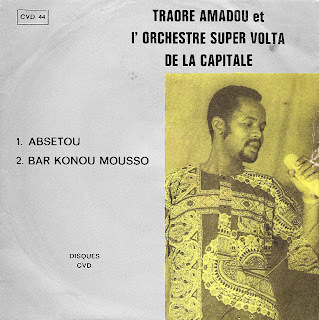 Members of the band included trumpeter and manger Mamadou Niaissa, vocalist Sane Camara and guitarists Karan Mady Diawara and Mamady Kouyaté. 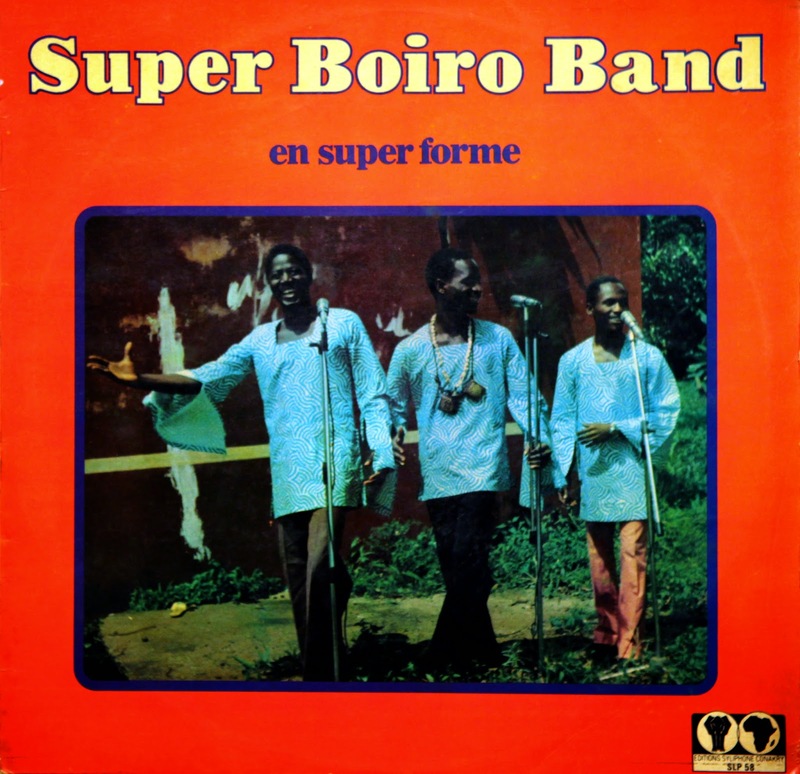 Super Boiro Band’s first album was released in 1972, and their first single was released the following year. They released two more singles as well as their second album in 1975, and one more album in 1976. Je ne sors pas la nuit quand j'entends Ballaké. Qu'assomment des verres de whisky baraqués. 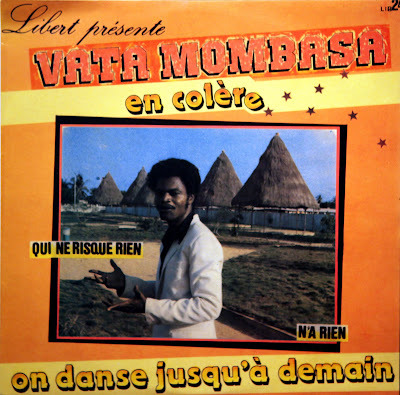 When Congo meets Benin results an excellent album from Vata Mombasa with Danialou Sagbohan on drums. Vata Bombasa was the guitarist and leader of the Lipua Lipua orchestra. 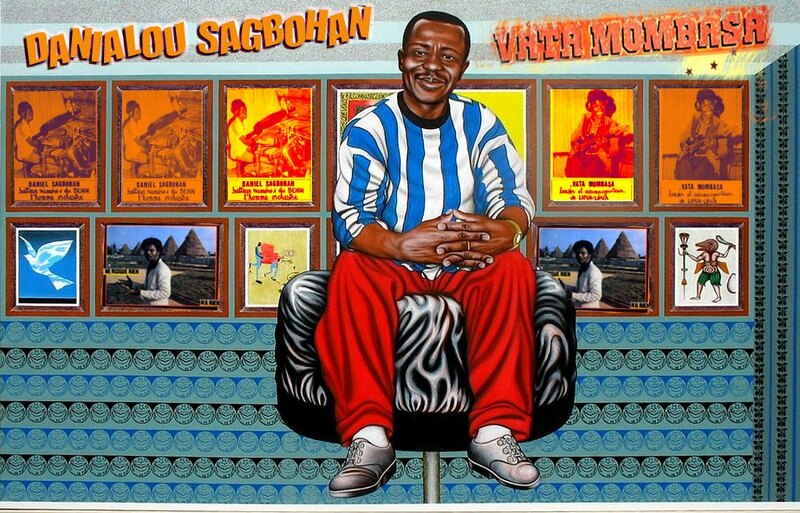 This very nice soukouss album is haunted by Sagbohan's talent. 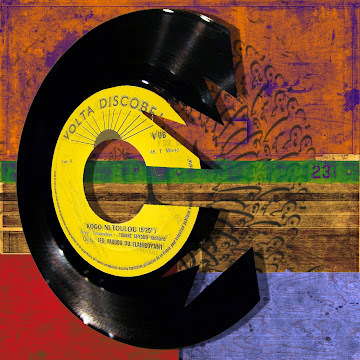 It was recorded in 1983 and edited by Libert and Papa Disco. Lorsque le Congo rencontre le Bénin, ça donne un album sublime de Vata Mombasa avec Danialou Sagbohan à la batterie, s'il vous plait. 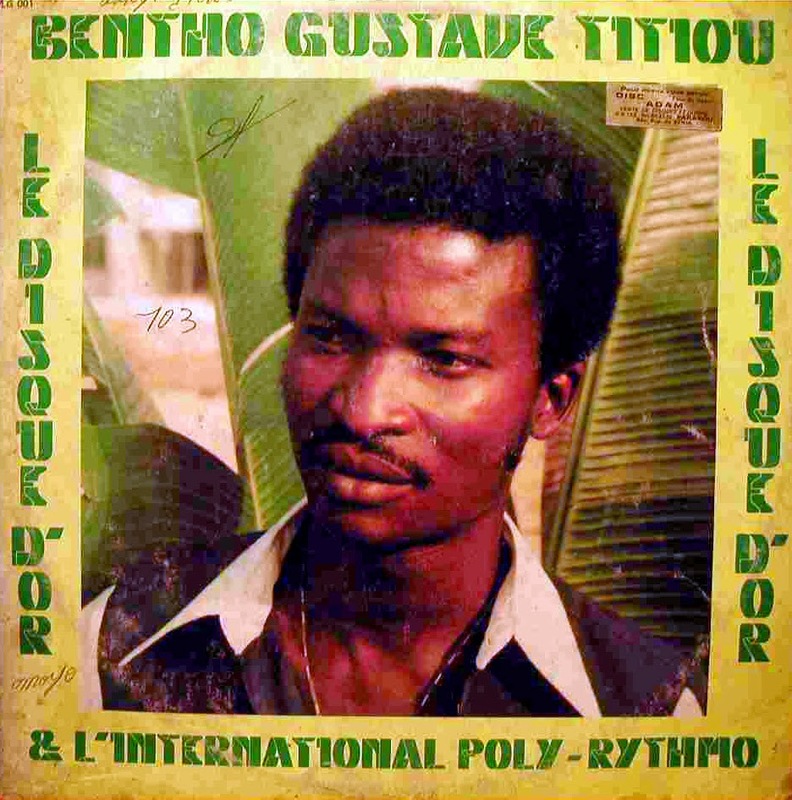 Vata Mombasa est guitariste et leader de la deuxième génération de l'Orchestre Lipua Lipua. En 1983, de passage au Bénin grâce au grand producteur "Papa Disco", il enregistre cet album, hanté par la présence de Sagbohan. This is the 5th volume of this "gold collection" edited on CD by the Top Showbiz label. 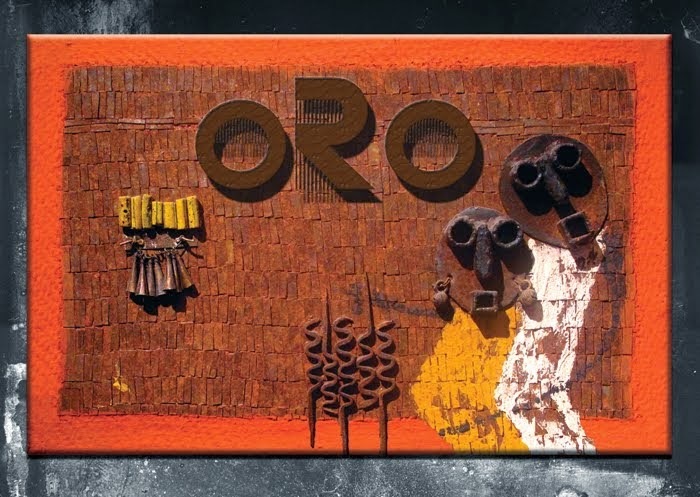 As you can see, the cover comes from the famous album: "Reconciliation". 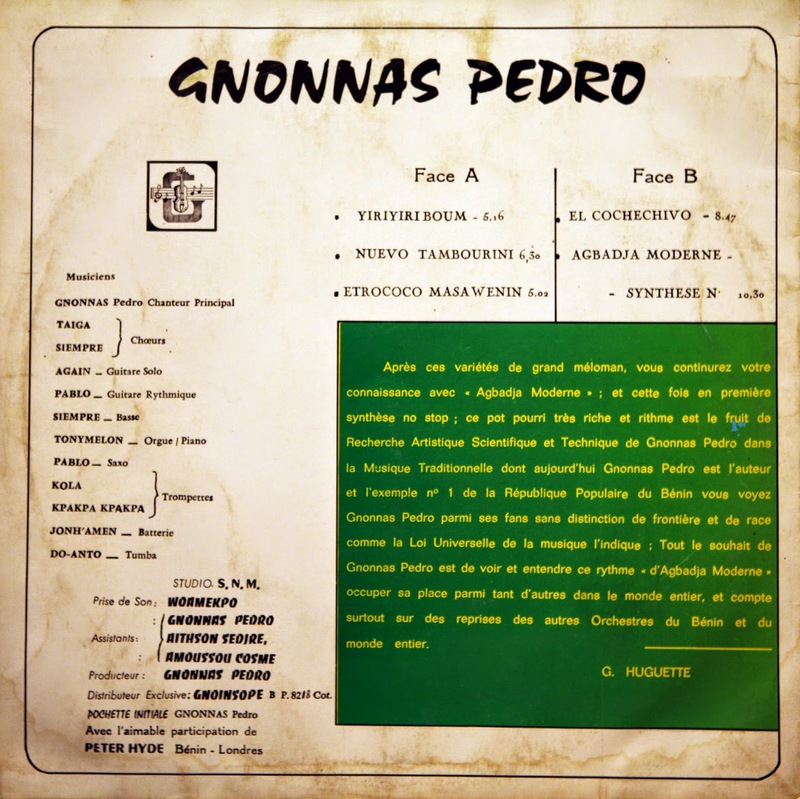 I think this album from Gnonnas Pedro deserves a better sleeve. Nevertheless, this Cochechivo, one of the best album of the maestro, carries his signature. It was recorded in 1980. 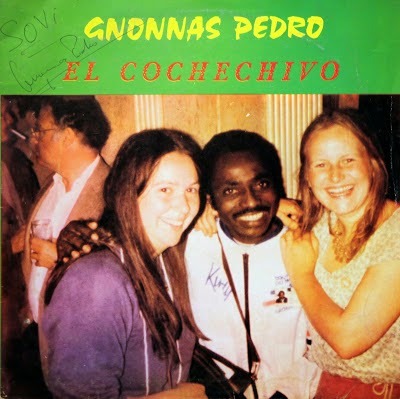 Ce vinyle de Gnonnas Pedro mériterait une plus belle pochette. Néanmoins, cet album de 1980 est l'un des meilleurs du maestro. Ballake, leave me alone, you don't have enough money. 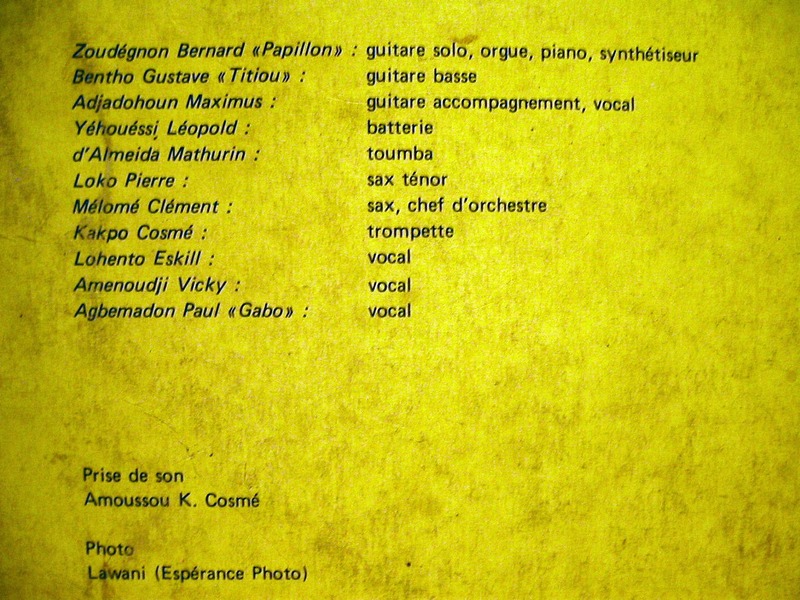 Musician is not someone..."
"La Vedette Du Soleil" is Zacharie Yekpo. 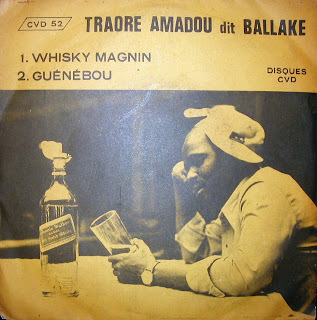 It means the "Sun' Star" and he plays good traditional muisc from Benin. 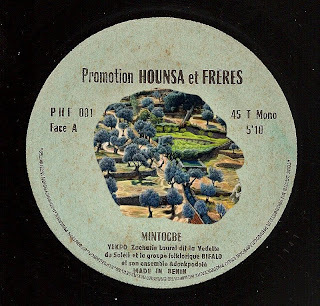 This first recordings, in mono, from Zacharie and his Bifalo Band were released in 1977 by a very obscure label: Promotion Hounsa and his brothers. 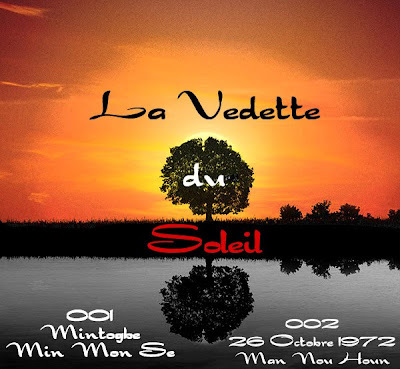 "La Vedette Du Soleil" a pour nom Yekpo Zacharie. 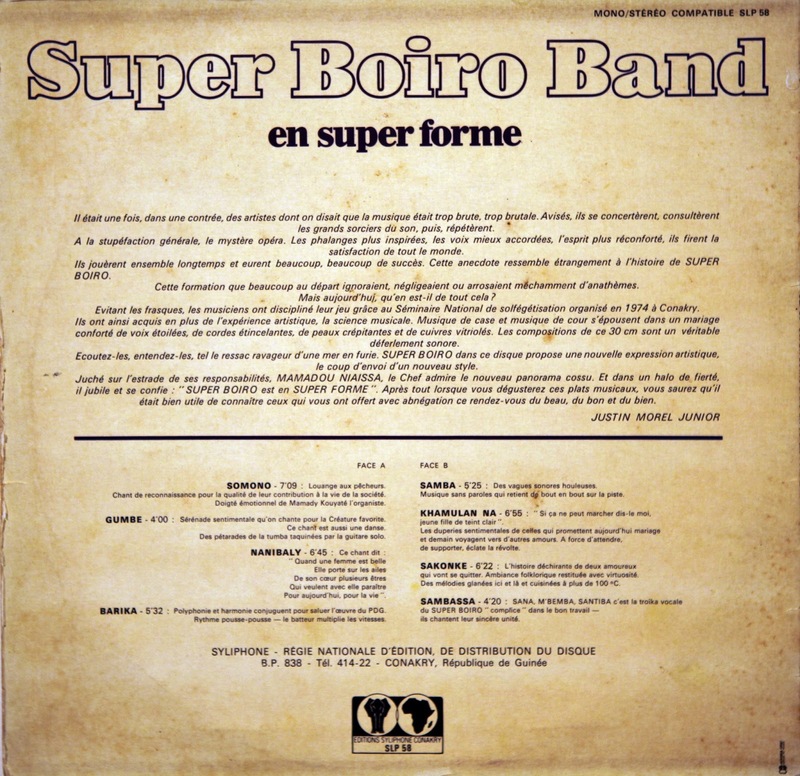 Son orchestre est le Groupe Folklorique Bifalo. 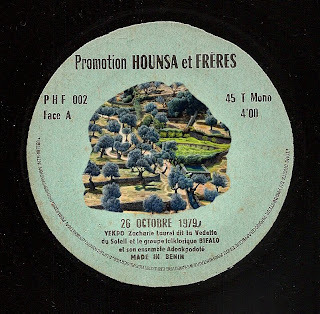 Voici ses deux premiers enregistrements datés de 1977 et produits par un label mysterieux: Promotion Hounsa et Frères. Je pense que Yekpo est de la ville d'Allada, un des trois principaux royaumes du Bénin. Son rythme est le Zinli, un rythme traditionnel très répandu dans le centre et sud sud du pays.